White Noise 2 Early Access is a cooperative 4v1 Horror, cross-platform game that pits four human characters against one horrific monster. It’s a heavily upgraded and improved sequel to the first title, White Noise Online, with a whole host of new features. The folks over at Milkstone Studios have certainly put a lot of work into this “fresh horror experience,” and as a fan of the first White Noise title I was very excited to dive in a take a look – especially over Halloween weekend! The title released on October 27th, 2016, just in time for the spookiest time of year. White Noise 2 is a game that absolutely stresses the importance of working together, at least on the part of the investigators. Players assemble as a team from multiple character choices – with more to unlock as your overall level increases – and each character has a different set of stats, alternative clothing, and a unique appearance. The fifth player in the lobby takes the role of the Creature, whose only goal is to capture the investigators as prey. While in the pre-game lobby, players can communicate via built-in voice chat (which has an awesome toggle for off, or push-to-talk, continuous, and receive-only) or in the chat lobby. Once in the game, the creature is unable to hear the investigators communicating. From then on, it’s a race to see who can complete their objective first: The investigators, and their task of finding ten Retro-licious VHS tapes, or the Creature and its job of killing them all. There are two maps currently available in White Noise 2: A rural, desolate outdoor landscape filled with ruins, trees, and debris, or –my personal favorite – an abandoned hospital. The maps are actually rather huge, and the locations of the tapes seem to be random each time you play. However, the key is staying together, at least in twos if not the full four party members – though you can begin a game with less than 5 players, the 4v1 experience is definitely the best one – because you’ll need each other to fend-off the creature. 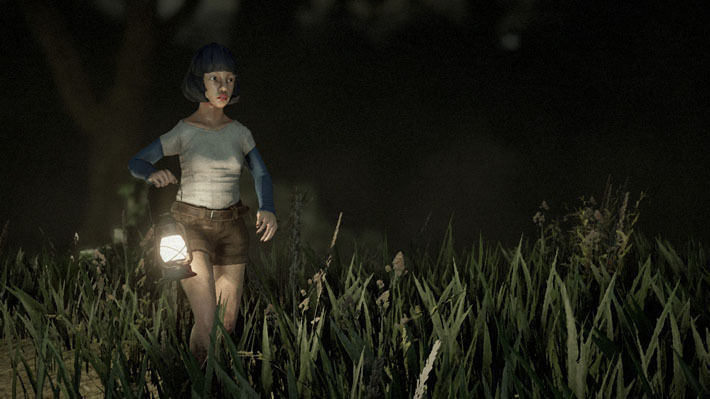 When the monster attacks, the players can use their flashlights to banish it back into another section of the map; they also can scream to find each other (though this also alerts the monster), throw glow sticks to slow down the creature’s speed, and use a compass to help find the tapes of evidence. Everything has a cooldown timer of some sort, and the flashlight batteries slowly drain, so players need to be careful to find more somewhere in the map. One of my favorite features in White Noise 2 is that, if you’re killed, the game isn’t over for you. You continue to play as a ghost, who can help locate items, disable the totem statues the monster uses to ward areas, and tag along for moral support with your crew of living investigators. At the end, everyone receives points, which level up your overall account and enable you to access additional content, supplies, and characters. There is an option of playing Solo in White Noise 2, but it’s very challenging, and honestly the true appeal of a game like this for most of us is the 4v1 format. While the Creature is alone against the team of other players, it definitely has plenty of tricks up its sleeve, and it’s certainly a more interactive feel than just running the levels alone. Sound plays a huge part in White Noise 2, not only for the purpose of voice chat with your fellow investigators, but also to be able to hear clues about nearby tapes, idols, and even the creature itself. The maps are very dark, since everything takes place at night, so the flashlights – and playing in a darkened room – are the key to good navigation. The graphics are definitely upgraded from White Noise Online, and they have a cartoonish, 3D Scooby Doo kind of feel to them. I was impressed by how much detail exists in the environments, especially the hospital; you’ll walk past bags of trash with flies buzzing around, and see old light switches sparking in the dark. The Creature has the ability to disappear briefly and stalk up close, so I definitely had a few instances where it appeared out of nowhere for a valid jump-scare moment. 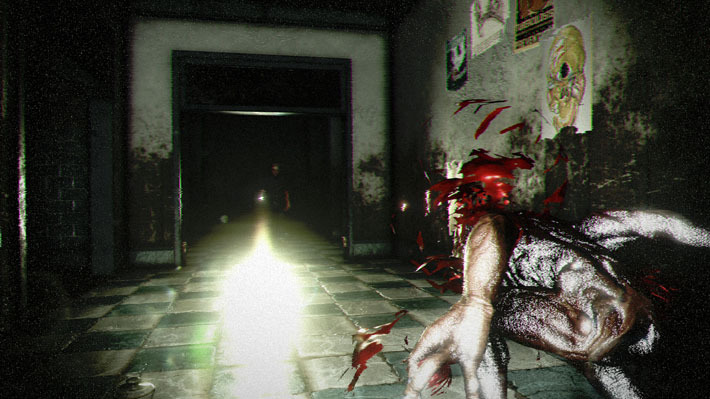 It’s an immersive pair of maps and gameplay style, which is absolutely critical for any Horror genre title. White Noise 2 succeeds at ramping up the adrenaline and getting the heart pounding, even if I wouldn’t call it a terrifying experience. White Noise 2 is a fantastic co-op addition to any Steam library, especially if you’re a fan of the increasingly popular 4v1 format. I played rounds with both friends off my Steam list and random strangers that were hunting for an open lobby, and so far everyone in the community has been extremely friendly and helpful. There was a small pool of lobbies and few active players, at least to start, so I fear that there’s a risk White Noise 2 could be yet another title that’s only super active and therefore viable around Halloween or special events, unless you have a lot of friends to invite into lobbies. I love that the leveling up gives objectives and long-term goals beyond just racking up wins, plus it opens up more content and variety for each team of investigators. I’d love to see them add a few more maps, and even some more monster types, but as it stands White Noise 2 has a great foundation. It’s ready to play, providing fantastic teamwork and plenty of scares, and I will certainly be coaxing more friends into playing with me in the near future.